Thu., 6 Jun. - Wed., 19 Jun. Thu., 6 Jun. - Fri., 7 Jun. Mon., 21 Oct. - Wed., 23 Oct. Tue., 3 Sep. - Sat., 14 Sep. Sun., 26 May - Fri., 7 Jun. Tue., 3 Sep. - Sun., 22 Dec. Sun., 26 May - Wed., 10 Jul. Tue., 1 Oct. - Mon., 14 Oct. Mon., 9 Mar. - Wed., 18 Mar. Fri., 15 Nov. - Sun., 1 Dec.
Wed., 4 Dec. - Tue., 31 Dec. Sat., 7 Mar. - Wed., 18 Mar. Tue., 8 Oct. - Wed., 23 Oct. Sun., 1 Mar. - Thu., 12 Mar. Thu., 31 Oct. - Thu., 21 Nov.
Fri., 13 Dec. - Sat., 11 Jan.
Wed., 4 Dec. - Wed., 15 Jan. Mon., 20 May - Sun., 16 Jun. Sat., 7 Dec. - Wed., 1 Jan. Sat., 13 Jul. - Sat., 27 Jul. Wed., 25 Dec. - Thu., 2 Jan.
TV selections were subpar. Only English-speaking channel was BBC. Could rent only about 3 possible movies at ¥1000 apiece. It was brand new. It was the only hotel in Japan provides free shuttle to Kawasaki’s train station where all the shops are located. 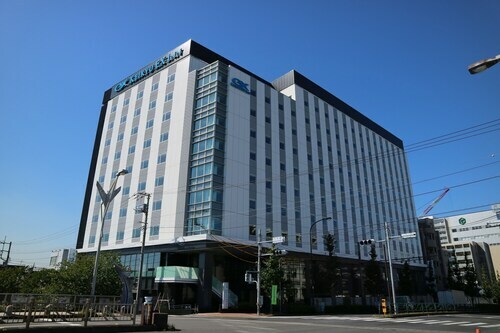 Reasonable price with great amenities and super close to Haneda airport. Everything was fantastic and the places around the hotel were absolutely awesome! Train station is also VERY close. 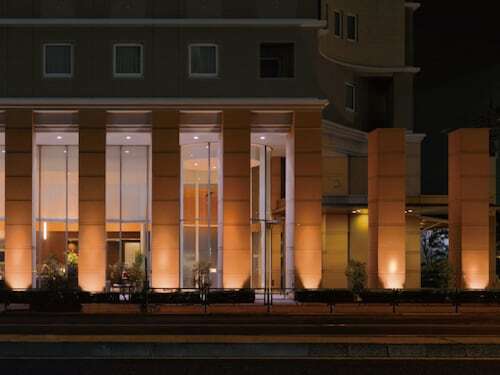 A stone's throw from the train station and 10 minutes away from Haneda International Airport. 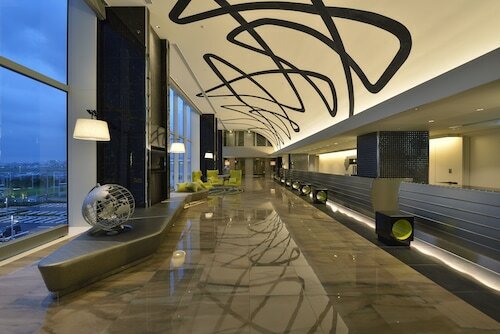 Very nice and clean hotel. 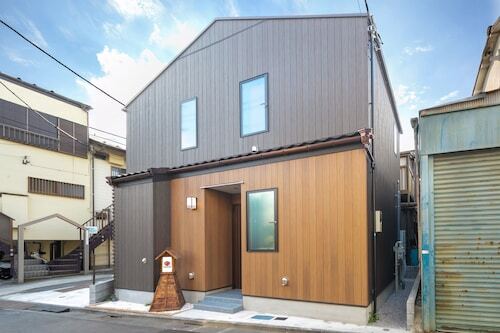 Located in Ota, this guesthouse is 0.1 mi (0.1 km) from Tokyo Bay and within 9 mi (15 km) of Tokyo Big Sight and Toyosu Market. LaLaport Toyosu Mall and LEGOLAND Discovery Center Tokyo are also within 9 mi (15 km). Tenkubashi Station is 9 minutes by foot and Tokyo Anamoriinari Station is 7 minutes. Question : How much is a plane ticket to Tokyo (HND) from Vancouver (YVR)? Answer : Prices can vary anywhere from $690 to $16,671. Booking far in advance can typically help you get the cheapest ticket. Prices tend to be lower the further out you book. Question : How long does it take to fly from Vancouver to Tokyo? Answer : If you are travelling on ANA, your flight will be just about 10 hours and 25 minutes. So, if you were to leave Vancouver at 3:05 PM PDT, you would get to Tokyo at 6:30 PM JST (don't forget, there is a 17 hours time change). Question : What is the cheapest date to fly to Tokyo? Answer : Tickets are currently $690, which is 55% less than the average price for this route. As of Apr 22nd, the cheapest day to fly from Vancouver to Tokyo is May 22nd. Question : How long is the flight from YVR to HND? Answer : If you're able to take the direct flight (which is offered by ANA), you will be able to leave YVR at 3:05 PM PDT and get to HND at 6:30 PM JST (10 hours and 25 minutes). Remember, there is a time change of 17 hours. Question : What is the cheapest airline flying from Vancouver to Tokyo? Answer : Air China is the leader in keeping prices down for travellers over the next three months. Fares are being booked at just $690 and, when compared to the more expensive bookings of $16,671, it's a great deal. Question : How long do most people stay on their visit to Tokyo? Answer : Of course, you're not most people, but if you were, you'd stay about about two weeks. Answer : The cheapest day to fly from Vancouver to Tokyo is on Tuesday. If you would like to save some cash on your next holiday look for flights on Tuesday.